Betta's Deniliquin store has an extensive collection of home appliances, bedding and furniture to offer a complete solution for your home. The local team at Deniliquin Betta Home Living is there to assist when it comes time to purchase your next fridge, freezer, TV, kitchen or Laundry appliance. The Betta Deniliquin store has been in operation since 1966. When current local store owner and operator, Rob Collicoat took the reigns in 1995, he could see its potential for growth in the community and has continued to expand the business to suit the needs of the locals. With a big focus on local community, the Deniliquin store supports most of the town clubs and activities within the area and employs five local staff members. 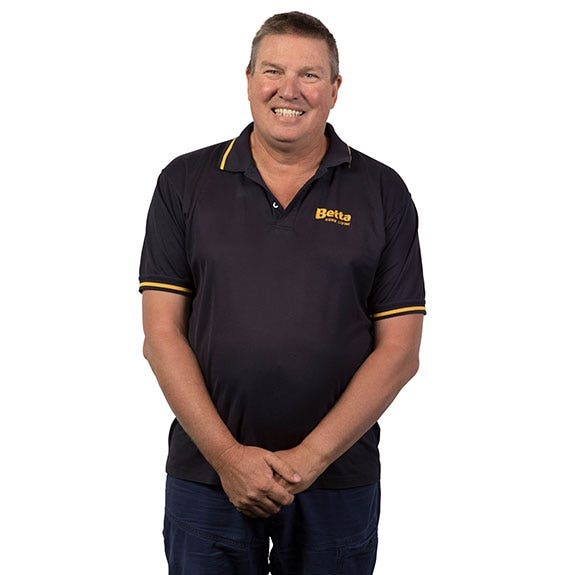 Rob is an avid sports fan and regularly enjoys playing squash and clay target shooting, as well as being a member of the local Car Club and the Deni Ute Muster.